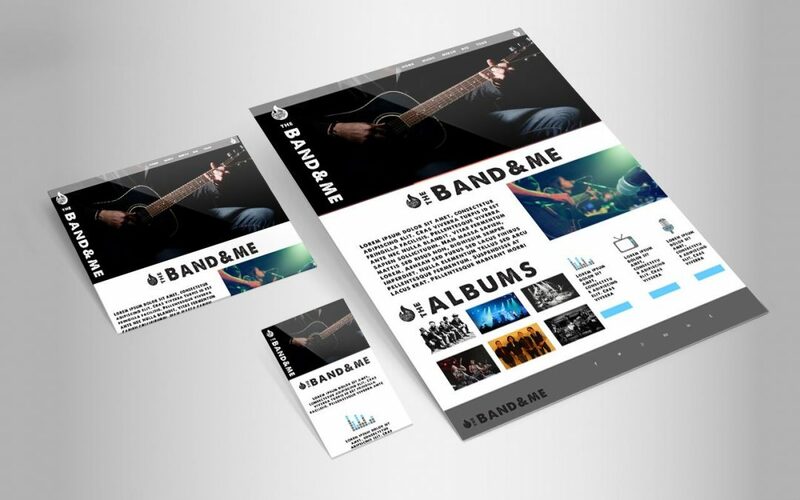 Why does your band need a website? You’ve mastered Facebook, Twitter, SoundCloud, Instagram and all of the other platforms and social media outlets you’ve been told will get your name out there. Maybe you have video, images, concerts, merch and music out there somewhere communicating with your fans. You’re out there and scattered all over the place, fighting with every other band/musician doing the same. Social media is without question a vital tool for marketing your music and communicating with current and new fans. But relying solely on social media may be a mistake. This is why you need a website. Just like anyone in any other profession, you need a website. If you take your music career seriously (and we hope you do), show the world. When venue bookers, festivals, promoters, media or even fans hear about your music and decide to seek you out, they will expect to find you at your dedicated website instead of searching through social media. I find all of my new music on Spotify, but the first place I look after I hear a band I like is their website. It’s the easiest way to get a quick overview of what the band is all about and where else they’re active (through links to social sites). Plus, I can see their show dates. Your website is really the only place a band or artist can effectively display their “BRAND” without the noise of the platform or the competition of other artists. Other sites may let you mess around with color schemes and logo/image upload but your own site has the unique flexibility of being yours and yours alone. Social media platforms live and die. Of course you will need to revamp your website every 2-3 years but that doesn’t mean people will stop visiting. So many musicians invested time in MySpace until the platform fell out of favor. Now it is arguable that the same thing is happening now with Facebook. And if you’re not aware Vine has gone belly up and what about Periscope and MeerKat. Don’t be the victim of a passing social media trend. At the very least, don’t spend all of your marketing time on these social media platforms. Put the majority of your efforts into your website and let social media be a guide. DevLab Creative understands the importance of music and that musicians need an affordable website. We have a soft spot in our hearts for all musicians (RIP Pop Zeus). That’s one of the reasons we created The NimbleLab. The NimbleLab allows not only musicians, but all industry professionals access to affordable, customized and professionally developed WordPress sites. $799 gets you a custom full blown web page. Tim Neuman Music was the first musician to take advantage of The NimbleLab. What do you think, does your band need a website?